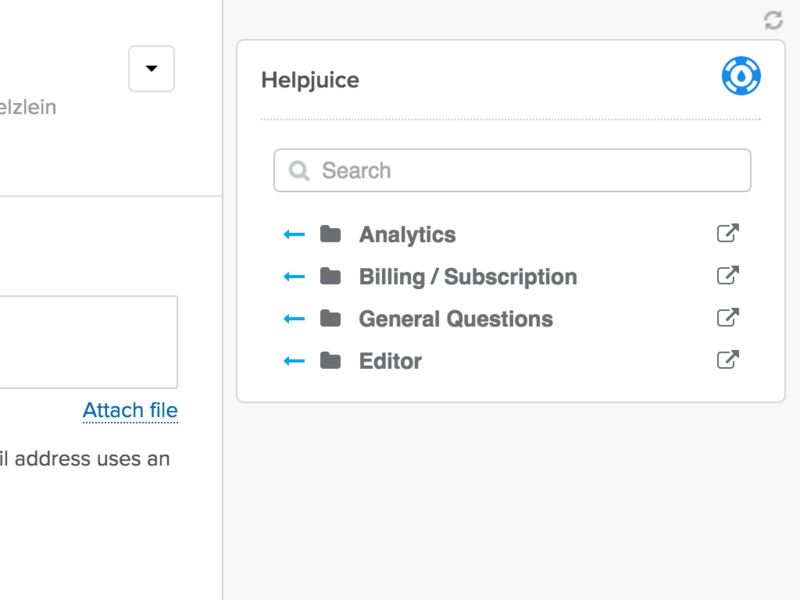 Bring your Helpjuice Knowledge Base into your ticketing system! 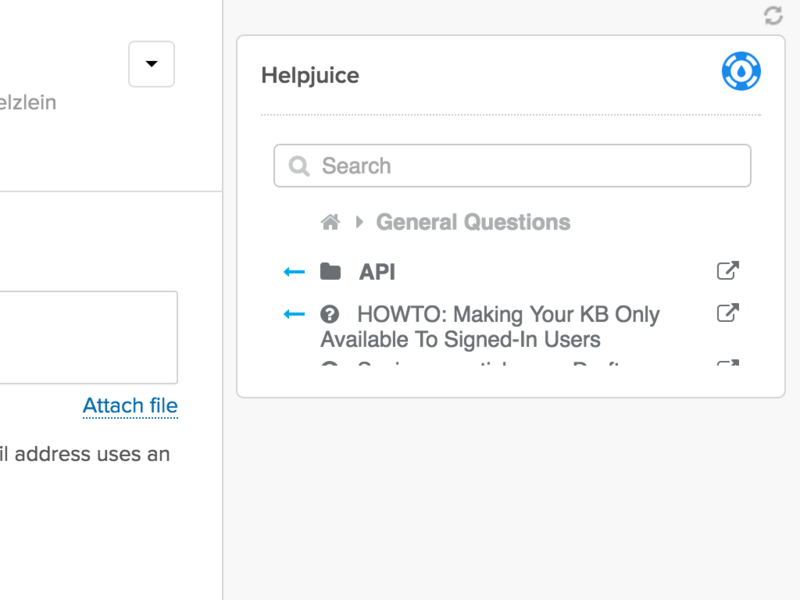 Easily navigate and search your Helpjuice Knowledge Base from within Zendesk tickets. 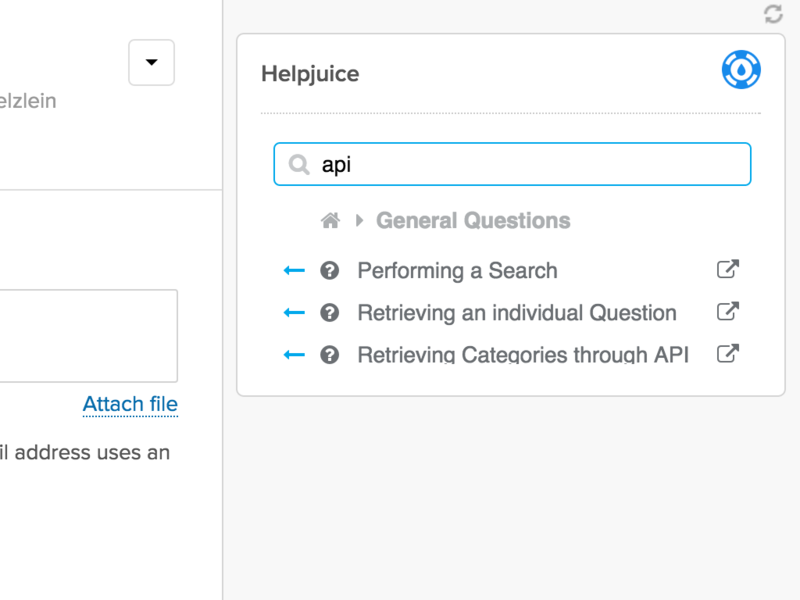 You can also easily use your questions to answer Zendesk tickets. Just install the app into your Zendesk account and sign in Helpjuice. The app will be shown in any ticket's page.